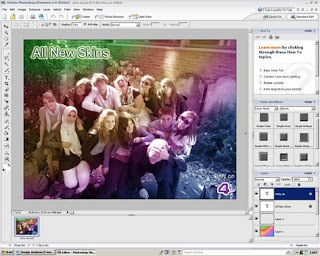 In lesson four, we looked at colour filtering in Adobe Photoshop. This tool makes the image much more interesting to the viewer. I used colour filtering when editing a photo I took for a ‘Skins’ advert. -70, adding a new layer and changing the blending mode to soft light. This means that when we colour it in using the paint tool, the image is still visible through the colours. To make this image look much more official, I added text that read “All New Skins” and I added the E4 logo, by saving the image from the internet and importing it into Photoshop.